What’s this? Two 3-litre French Sheds in a fortnight? Yes, and with good reason. 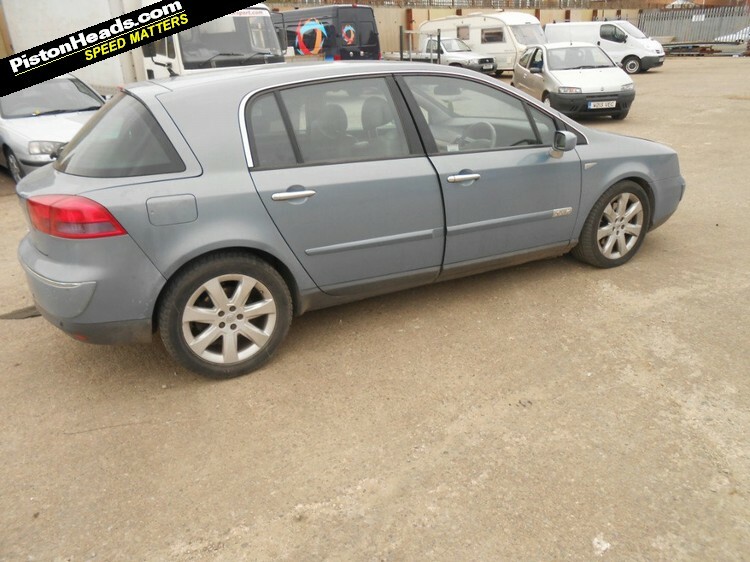 Less than ten years ago, the Renault Vel Satis retailed for around £32k. Now, as confirmed by PHer Drtimbo who unearthed this rare lump of history, they can be seen buzzing lazily into the terminally sticky Venus Shed trap. Oh, how the mighty are fallen. 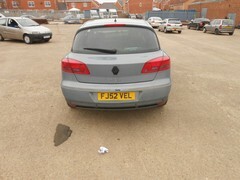 Not that the Vel Satis was ever really mighty. Along with the even more intriguing Avantime that also came out in 2001, it was the product of a spasm of creativity at La Régie that revolved around the obscure notion of a ‘living room on wheels’. Like many advanced concepts, the Aheadoftime was feared, mocked and then ignored to death. It was put out of its misery in 2003 with less than 9,000 units made. 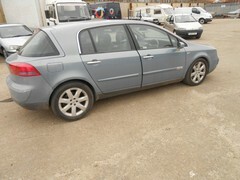 The Vel Satis, however, survived right up until 2009. It may come as a surprise to British PHers to hear just how many Vel Sati were built: over 60,000 cars mooed their way off the Sandouville line in Normandy. Although that plant was about as close to Britain as it could possibly be, we Brits didn’t take to them at all. 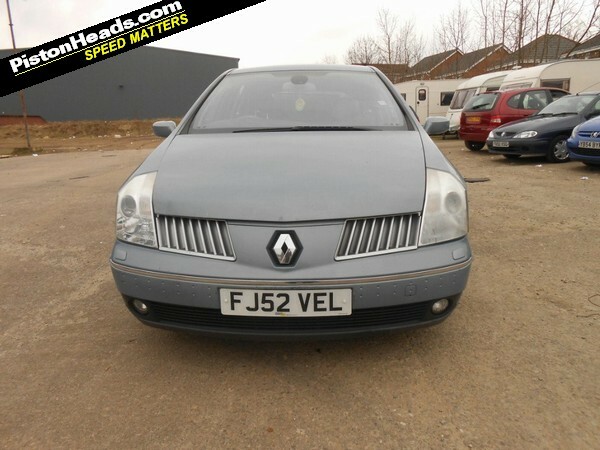 Renault UK didn’t even bother taking up the option on the 2005 facelift model, what with the fag of doing the RHD conversion and all. It’s thought that less than 1,300 made it across the Channel in total – only about a third of Renault UK’s expectations. A fairly remarkable 900+ of those are still registered today, reinforcing the general opinion that they were more solidly built than the Matra-made Avantimes. The VS’s relative success on the Continent was buoyed up by a fanbase of French taxi drivers who liked the monstrous amount of space it offered in both the back and the boot, and who didn’t give deux hootes about the spinal wellbeing of their passengers. It rode like a Roman chariot, its new-age suspension having cleverly substituted jarring choppiness for the old-gen Renaults’ silky compliance. Unsurprisingly, this undermined its intended role as an executive soothe-mobile. In the absence of any other homegrown bargery, long-suffering French Presidents were obliged to crash around in bulletproof Vel Sati right up until 2009. No wonder they were always in a bad mood. As a kind of Citroën DS de nos jours, the Vel Satis was richly endowed with Gallic ‘up yours’ ugliness. It’s a timeless sort of ugliness though, one that looks no worse now than it did then. This example (one of the first to be brought into the UK) doesn’t look particularly well cared for, but half a day with the bucket and shammy should work wonders. Shed reckons that the dodgy-looking shutline on the driver’s door is simply down to the door not having been shut by the feckless snapper, but remembering the taxi connection, who’s to know that it hasn’t done a stint in motoring’s equivalent of National Service? 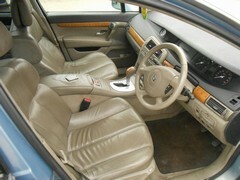 What is for sure is the voluptuous comfort of those seats. They’re as cossetting as they look, and heated too. The rears fold down to create an impromptu landing field for light aircraft. 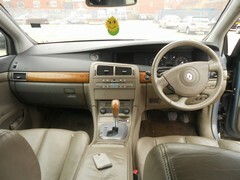 The interior generally is pleasing, especially that alderwood trim. For trivia fans, that’s the wood Fender has used for its Stratocasters since the 1950s. Somewhat before that, Venice was built on alder foundations that are still good today. Tough stuff; looks nice. And as if that wasn't enough, it even comes with a personalised plate. Of sorts. 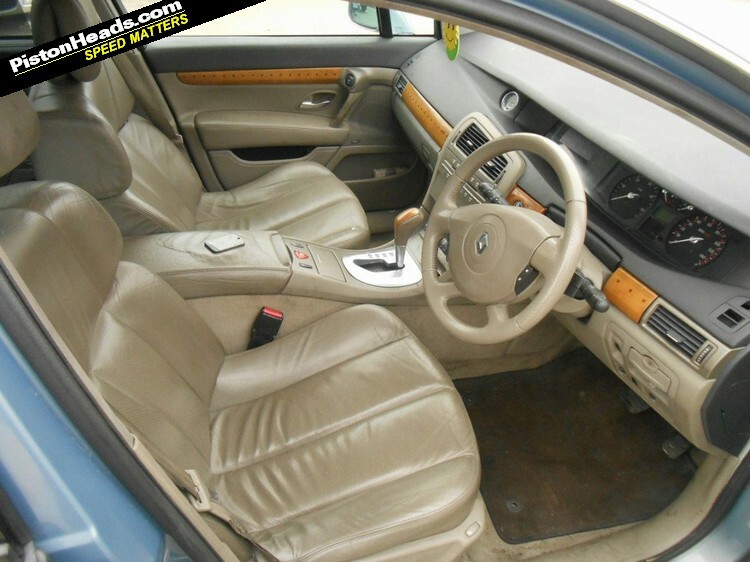 ...and that alderwood trim is pleasant. The Isuzu-sourced 24-valve six-pot DCI diesel doles out 180hp and a handy 257lb ft belt of torque at 1,800rpm, making it good for a top whack of just over 130mph and an official combined figure of 32.5mpg – a number you can boost by 10mpg if you drive everywhere at a 75mph cruise. The auto ’box never gives up in its ceaseless search for optimum torque, an admirable trait in one way but a pain in the backside in another. 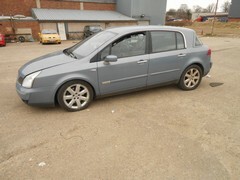 As a rolling example of Renault’s cleveritude, the Vel Satis was liberally stuffed with electronic comfort and convenience gubernalia. That’s not always a good idea ten years down the line. The Carminat sat nav system is actually quite decent, but the tyre pressure monitors will probably bail out (at £80 a pop) along with the reversing sensors and possibly the electronic handbrake. The voice synthesiser alerting you to faults might grate over time too, unless it’s broken of course, in which case it won’t tell you that. Bum deal? We hope not. 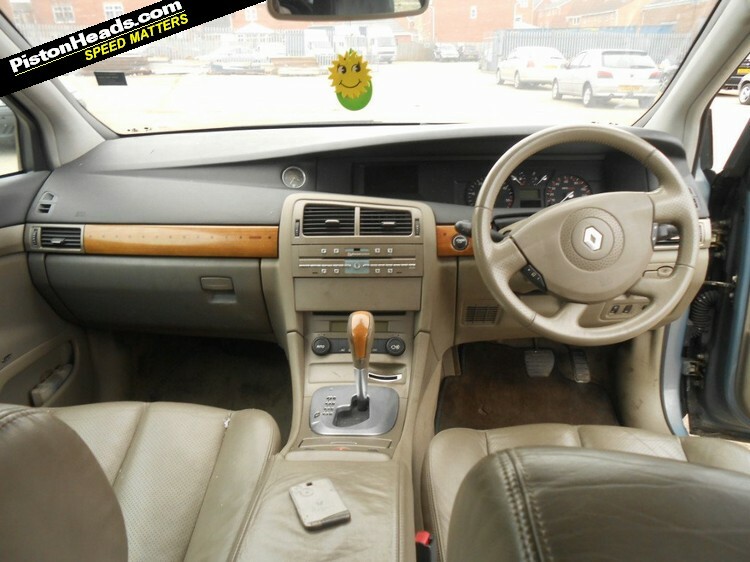 As with last week’s Peugeot 406 Coupé, running costs can catch you out. 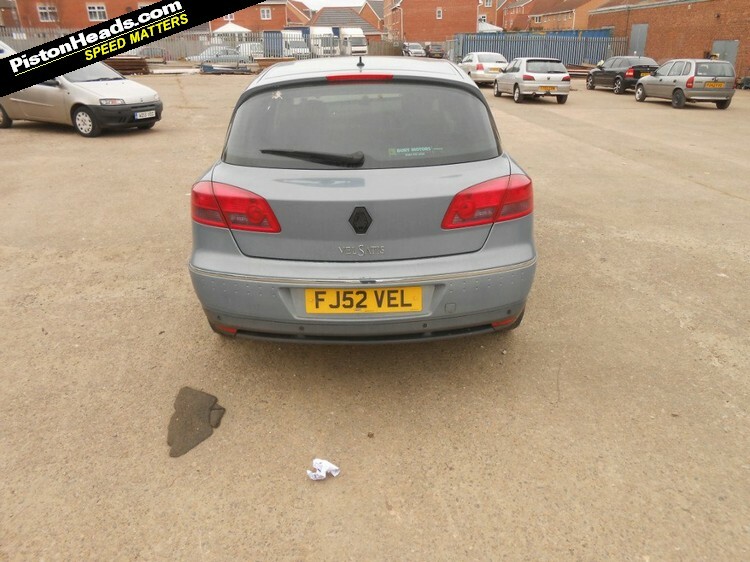 Road tax and insurance aren’t bargain basement, nor are tyres at upwards of £200 each. The cambelt has a 5yr/100k expectancy, which is just as well as Renault main dealers will charge you a four-figure sum to renew it. Aircon systems often don’t work properly; rusty pipes can leak, as can fuel injector seals. On the plus side, parts availability is decent as there’ll often be a Volvo or Vauxhall bit that will do the job if there’s no Renault one. 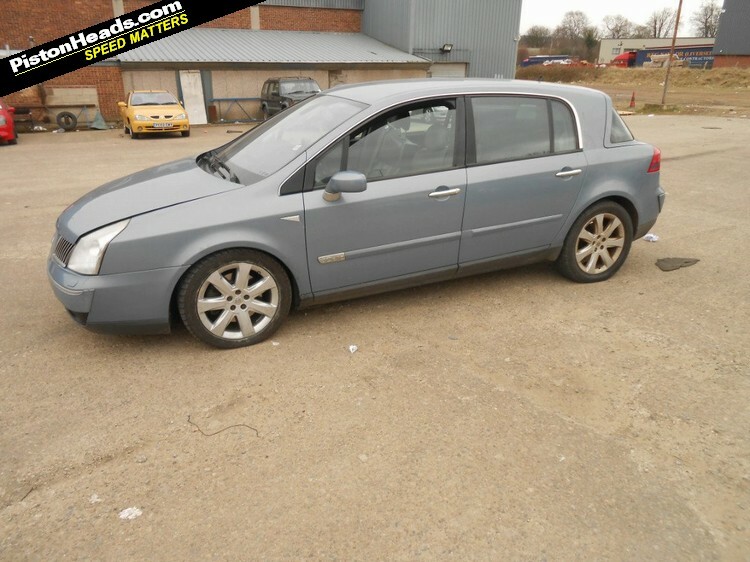 And just to show that the Vel Satis is certainly no worse than any other French exec, let us consider its successor, the Renault Latitude. The what? Exactly. Crikey. I cant believe these have hit shed money. Not so long ago they where still comanding relatively high sums. Always been interested by them from a funky, "out there" design and thinking behind it. Not sure i would/could bite the bullet and buy one though. But at shed money it cant lose much more value! I would happily cruise around in that as a shed. Just for its rarity factor. I recall going to LeMans in 2001 and seeing one on the road for the first time, lovely. LOL. I wasn't expecting that.